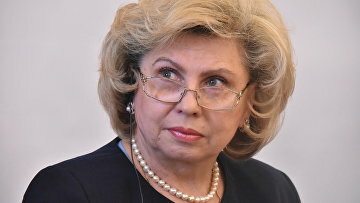 Moskalkova requests to check up on observance of human rights of 69 Russians in Ukraine | Russian Legal Information Agency (RAPSI). MOSCOW, February 25 (RAPSI) – Tatyana Moskalkova, Russia’s Rights Commissioner, has requested the Russian Foreign Ministry and the Ukrainian Ombudsman Lyudmila Denisova to check up on the information that human rights of 69 Russian citizens detained in Ukraine are being violated, the Rights Commissioner’s website reads on Monday. According to the statement, the detainees, some of which are military servicepersons, but the majority are civilians prosecuted for their activism and public stand, are in great need of medical care. Among them is also Kirill Vyshinsky, a journalist charged with treason in Ukraine. Moskalkova says she hopes for humane treatment of the Russian detainees and will try to help all those seeking her assistance.